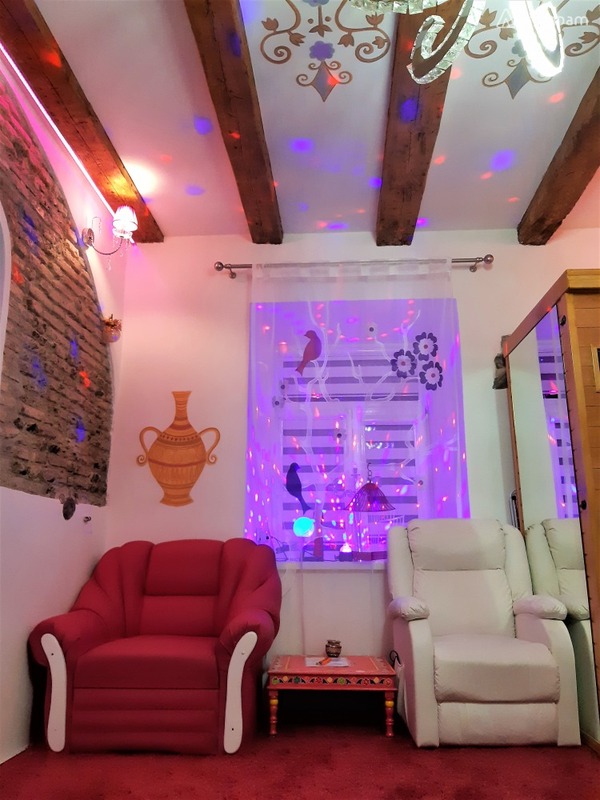 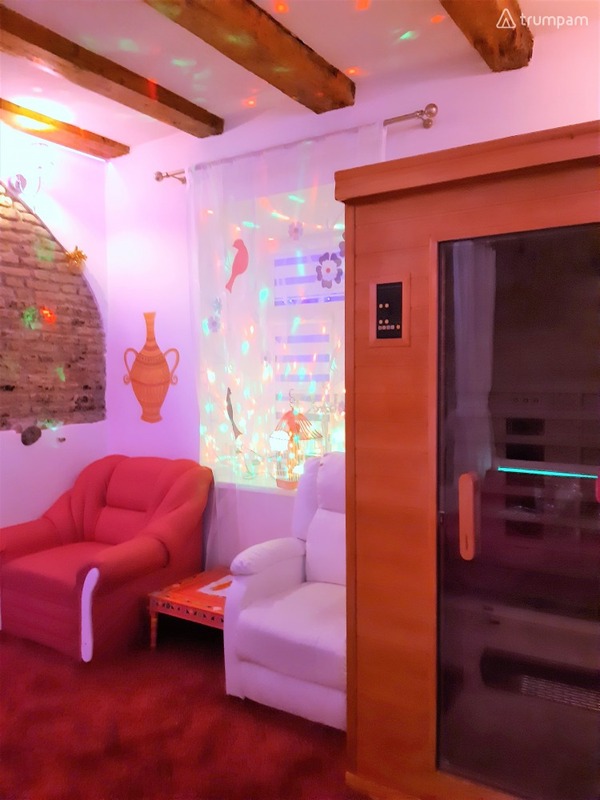 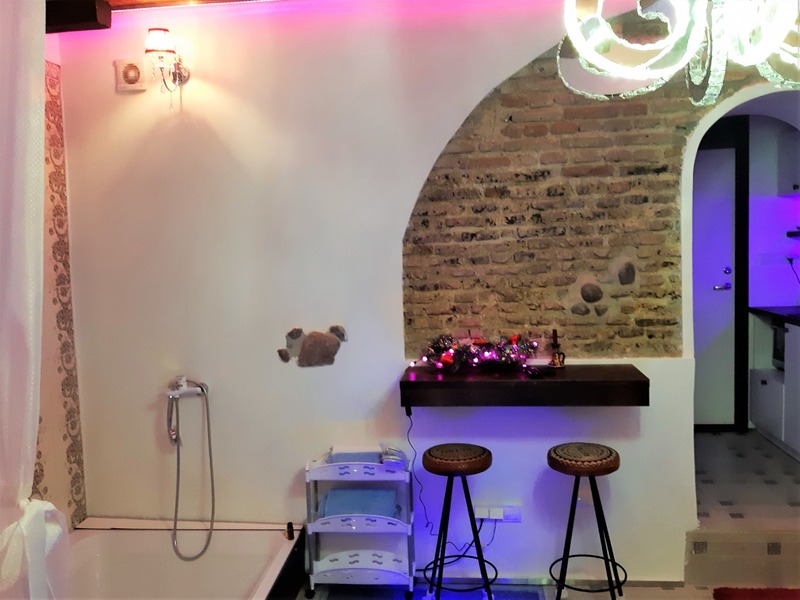 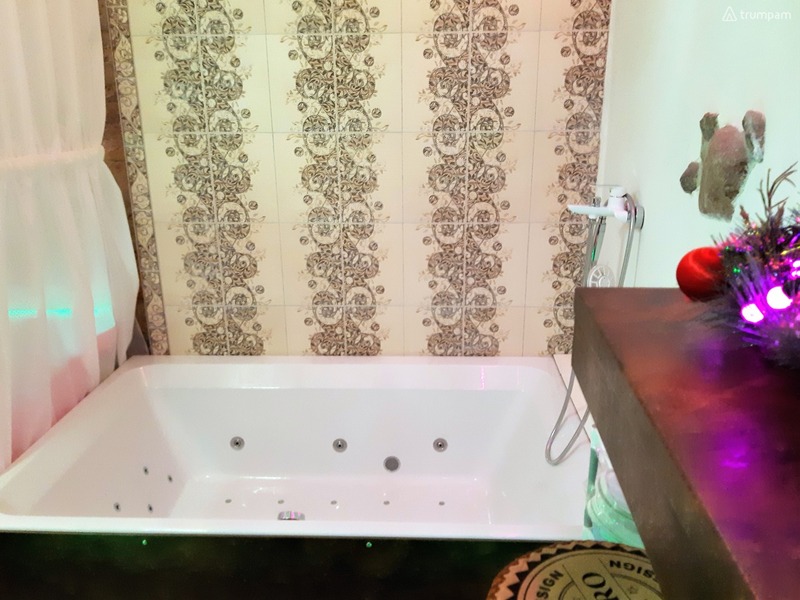 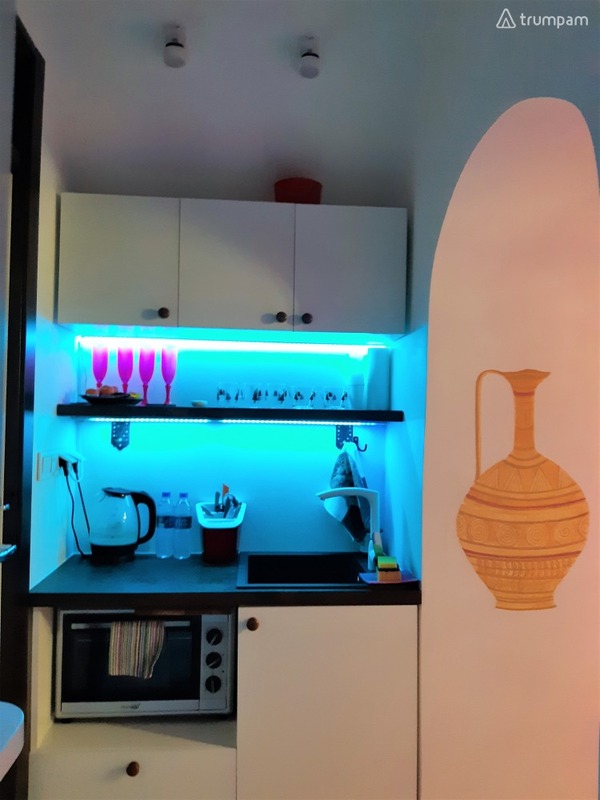 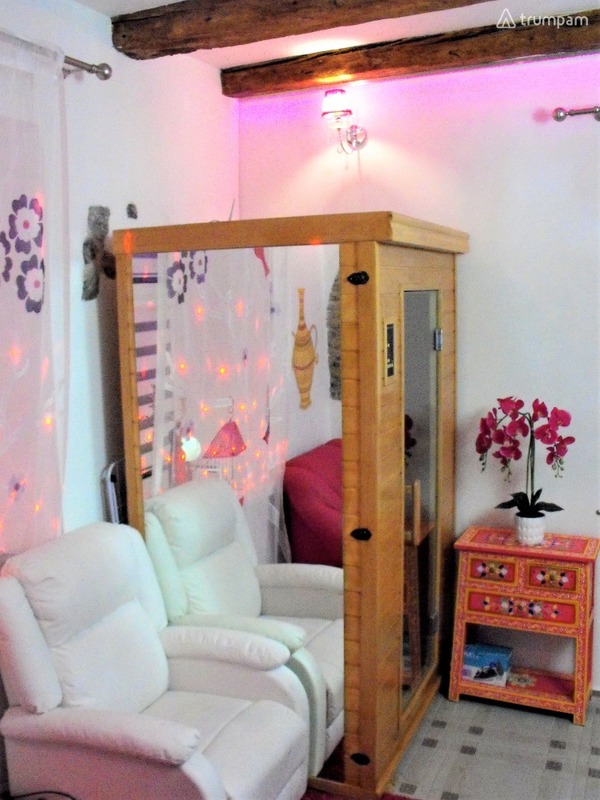 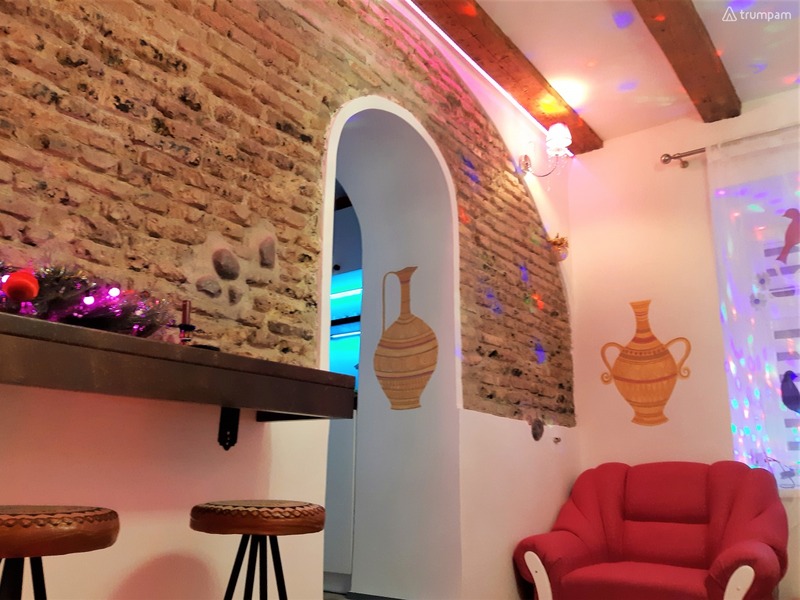 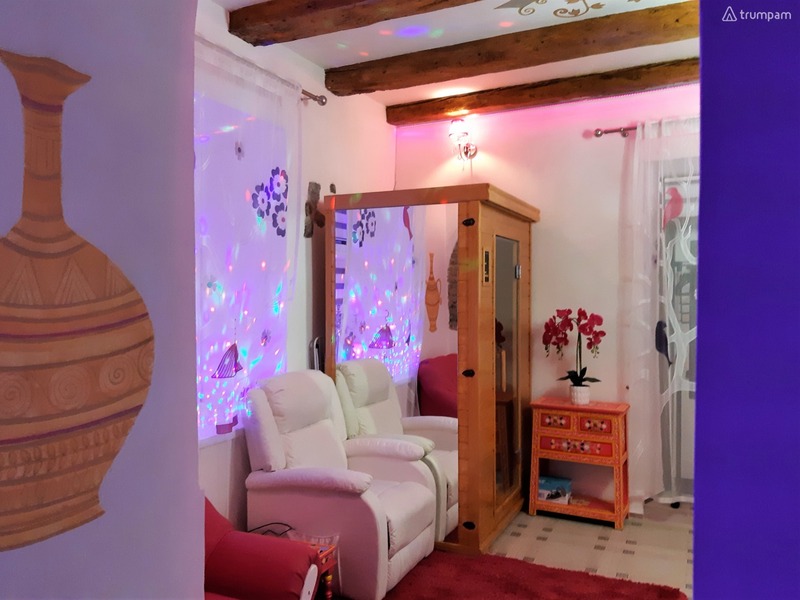 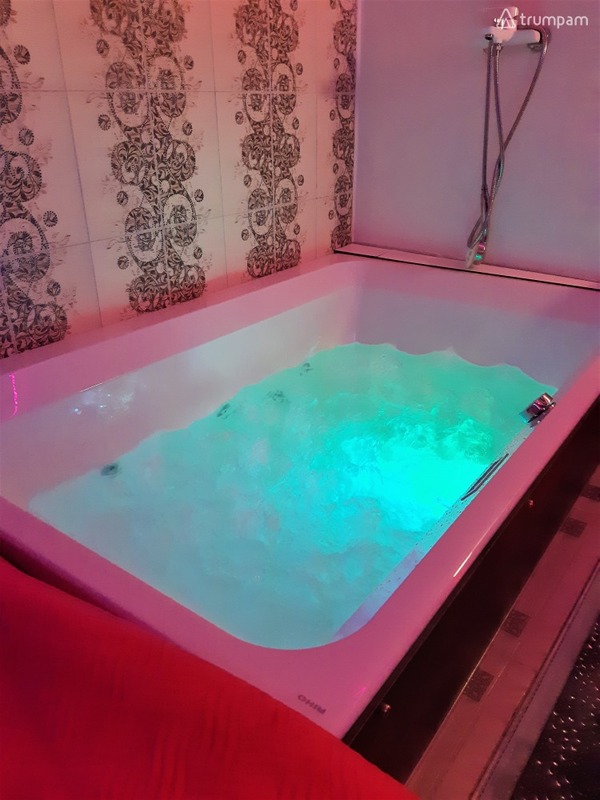 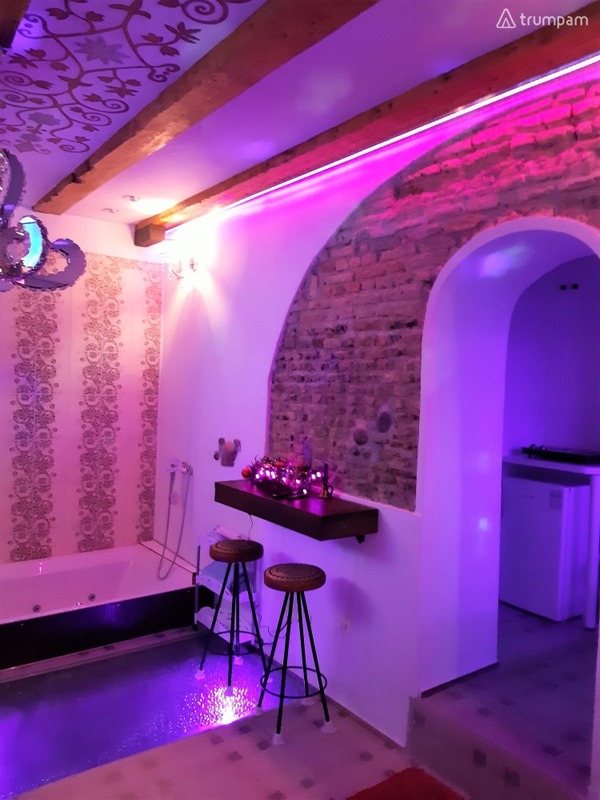 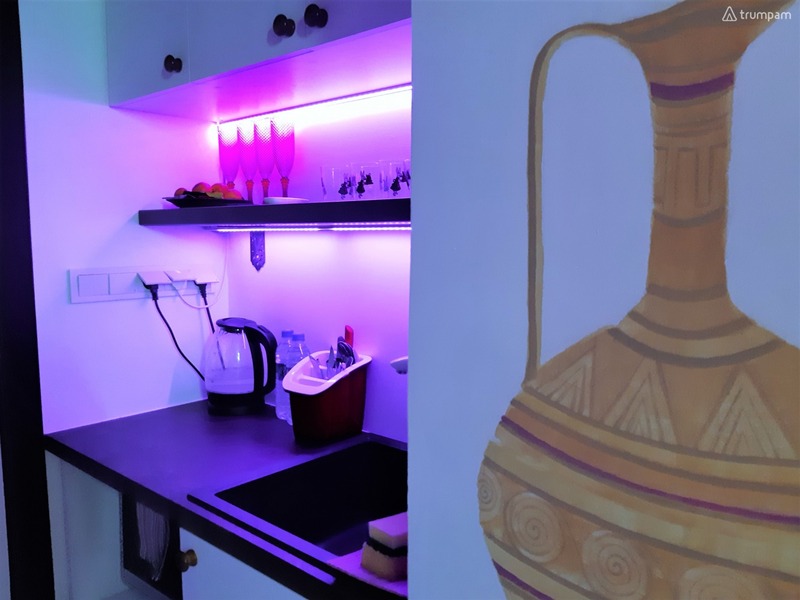 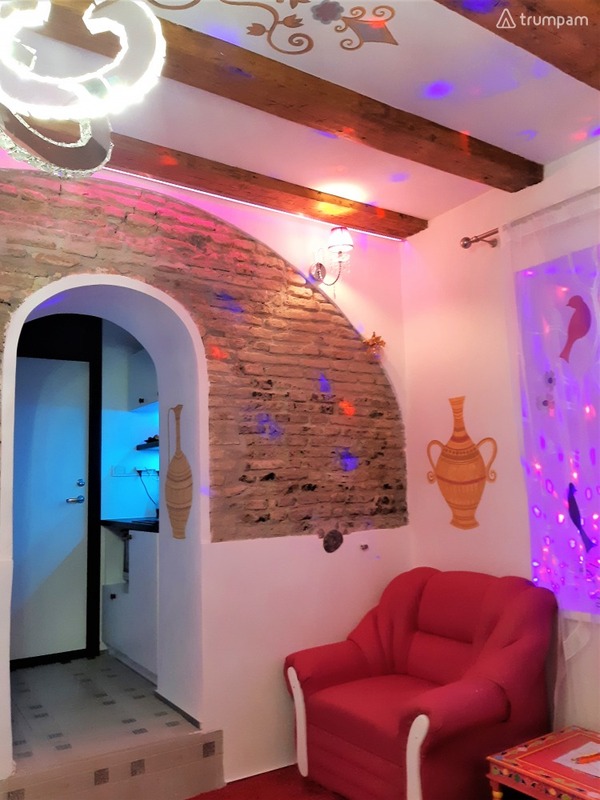 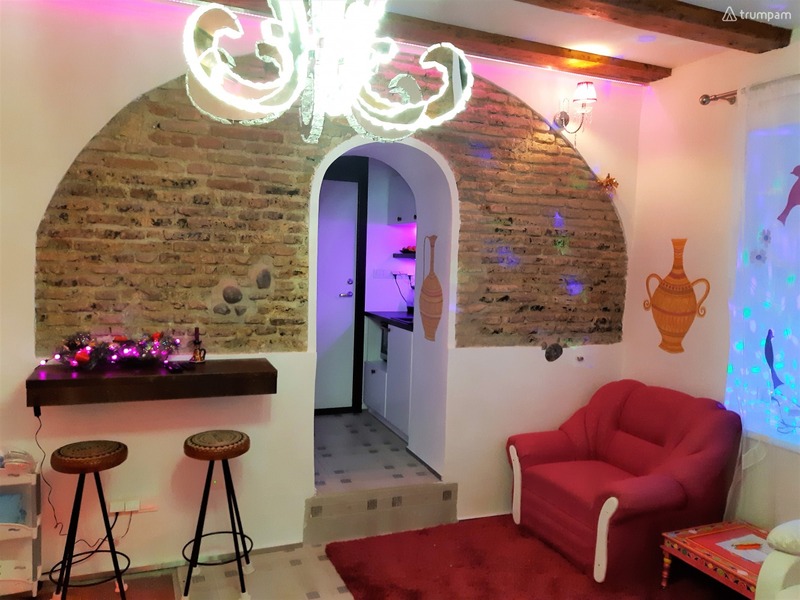 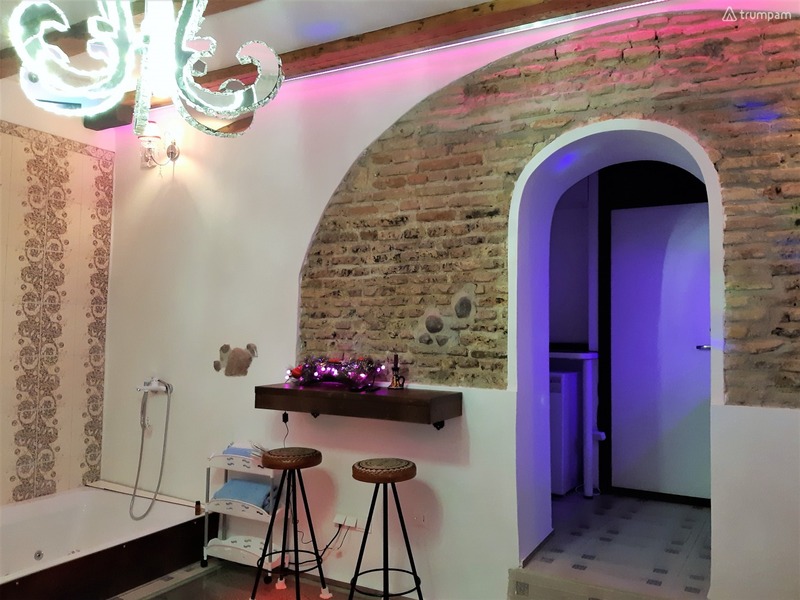 Small but very cozy apartment with unique lighting , jacuzzi and sauna . 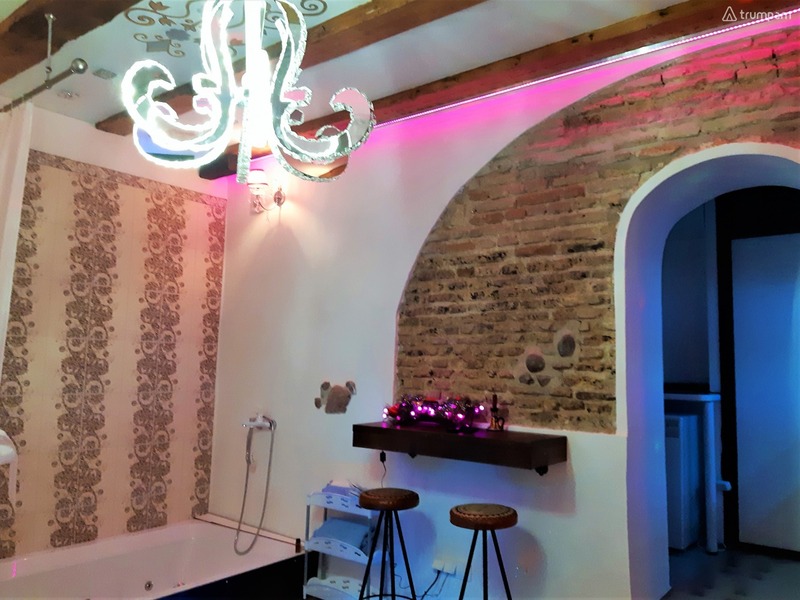 Here you will find everything you need for a comfortable , cozy and romantic getaway . 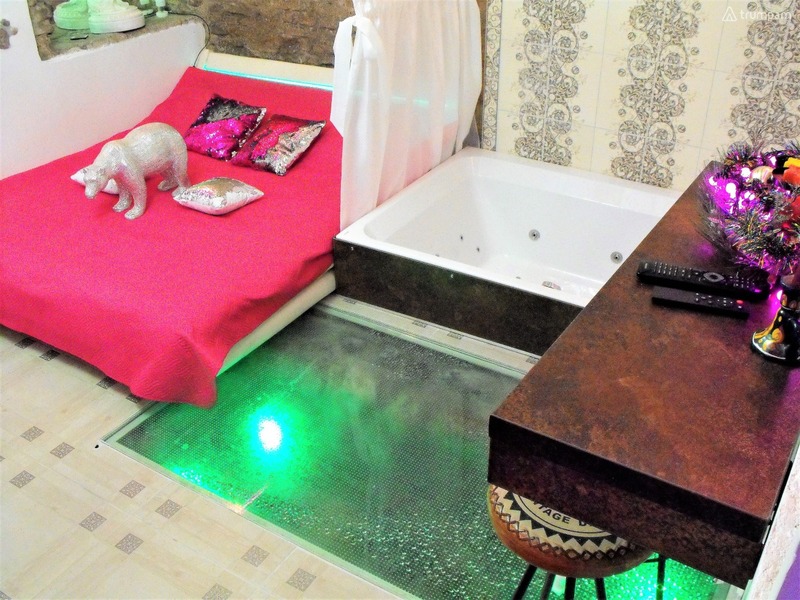 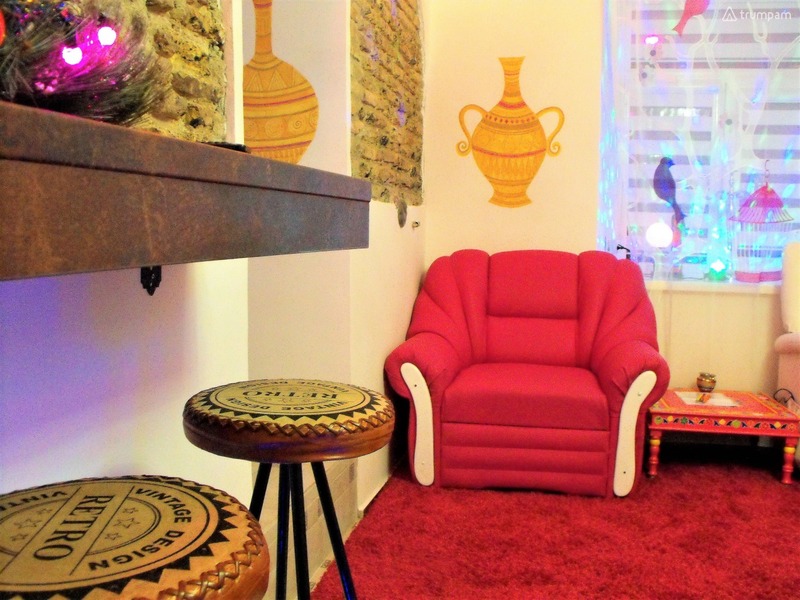 There is a small kitchenette , sauna (extra charge) , jacuzzi , double bed , massage chair , TV . 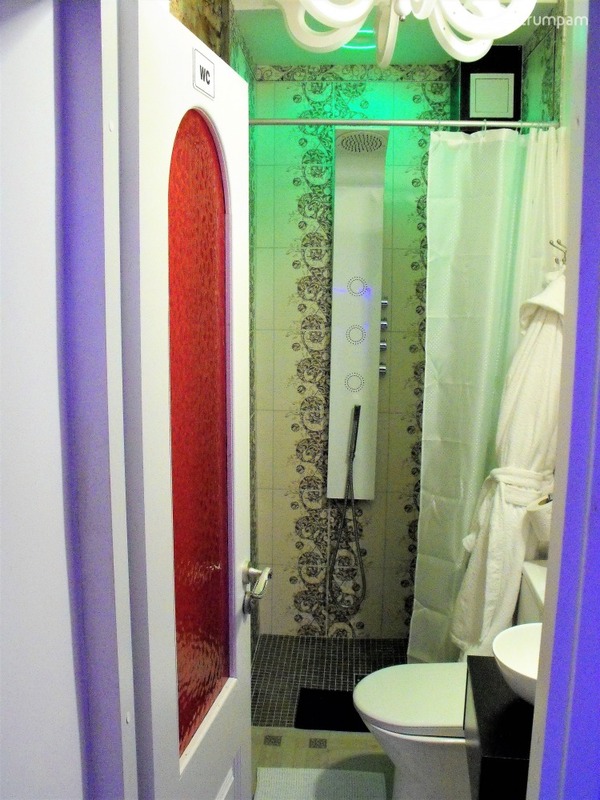 internet , underfloor heating , shower with toilet . 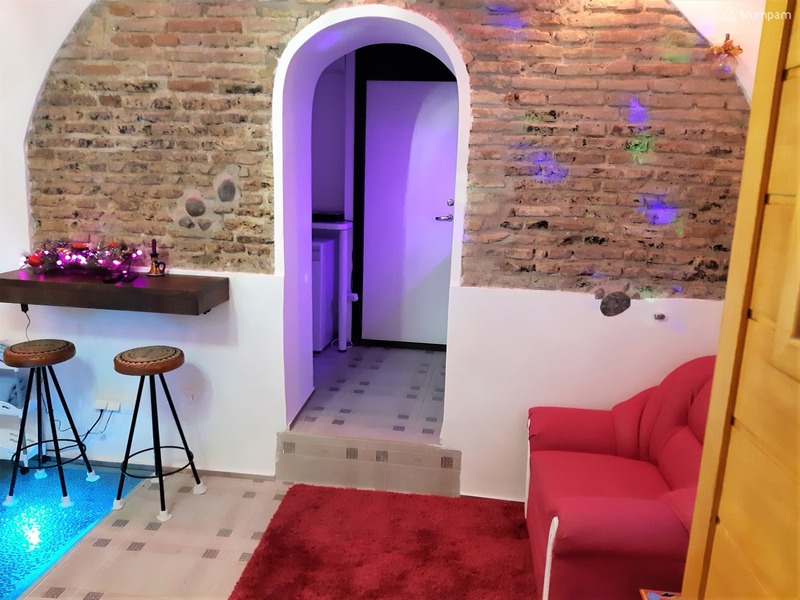 There is also access to a small terrace .